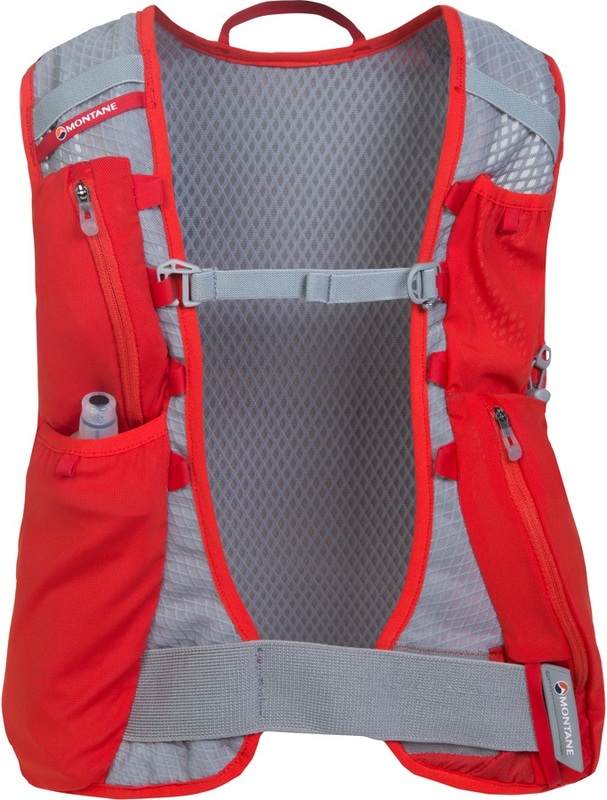 Ergonomic, super lightweight vest pack for ultra distance trail runs. Wear your load, don't carry it. 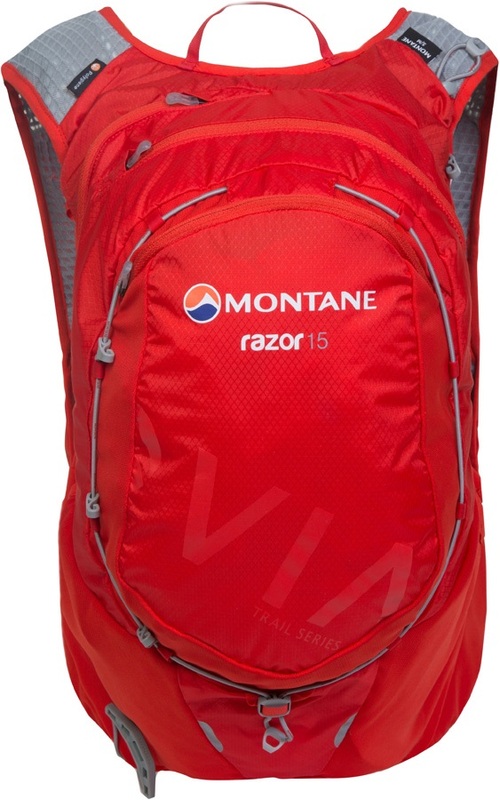 The Razor 15 is one of Montane's most versatile, well-designed vest packs yet, ideal for long trail missions and ultra events. The main body is constructed from RAPTOR UL fabric which has an impressive strength to weight ratio. The ergonomic Montane Freelight Chassis vest is specifically tailored to provide optimal support and comfort on the go, constructed from fast-drying, breathable CONTACT Flyte Mesh Air which retains next-to-no moisture and is comfortable against the skin. Two Montane Softflasks 500ml are included in the vest for quick and easy hydration on the go and can be used with Montane Softflask Straws (sold separately). The elasticated chassis also features a stretch hook and loop lower body adjustment and an adjustable, low profile stretch chest harness, which provides a close fit without restricting breathing. 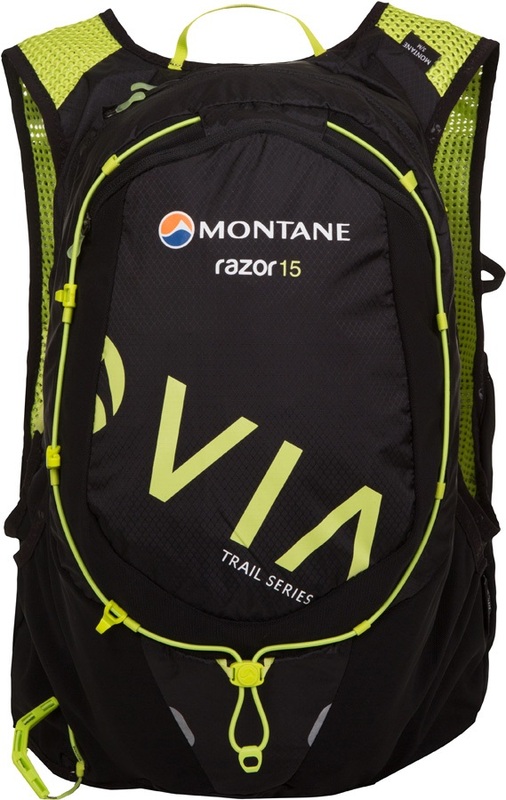 With 15 litre storage in the main compartment and a multitude of internal and external pockets, this running backpack can accommodate all the essential gear you need for runs of considerable distance. Pacer pole attachments can be found under the arms for easy, on-the-move access. 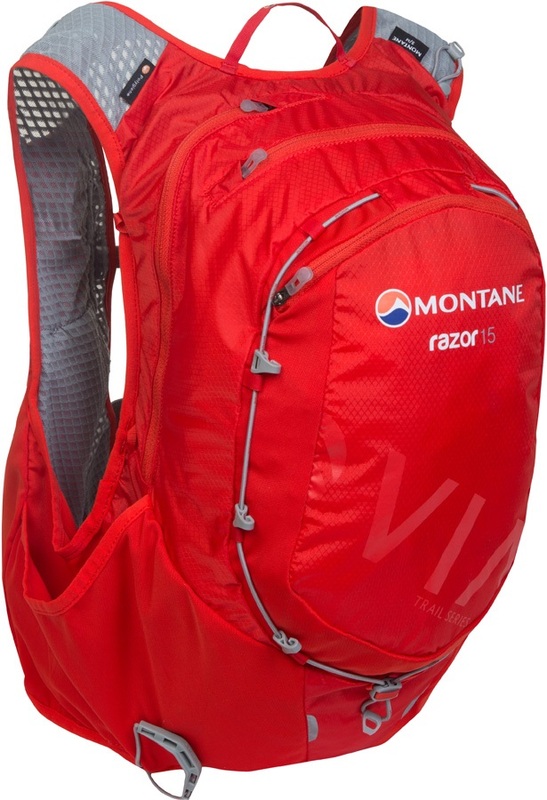 Montane have created the Razor 15 for ultra distance trail runs and mountain endurance sports. With generous storage and a tough yet lightweight contruction, this impressive trail running vest pack will offer you unrivalled support and comfort for long distances over rough terrain. With countless practical features to help things run smoothly and an ergonomic design, it's the perfect choice for those who want to go the extra distance.